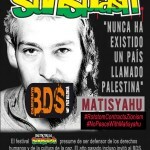 Rototom Sunsplash festival organizers announced the decision to cancel the performance of US artist Matisyahu from this year’s program after pressure from human rights activists and artists in Spain and beyond, who objected to his incitement to racial hatred and his defense of Israeli war crimes, including in his lyrics. As stated on the festival’s website, Rototom Sunsplash aims to promote “peace, equality, human rights and social justice”. These values are foundational to the festival and a theme for this year’s 22nd edition. 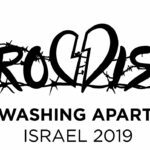 The festival has a long history of solidarity with Palestinians and opposition to Israel’s occupation and grave violations of international law, as demonstrated in the several debates it has hosted throughout the years in the Social Forum highlighting the Palestinian plight. 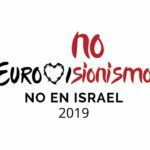 We were rapidly joined in our efforts by activists from around the Spanish state and by artists, five of whom announced they would cancel their participation unless Matisyahu’s renounces his hateful and racist views that dehumanize Palestinians and justify their oppression. Support for the Israeli occupation army’s massacres and war crimes against Palestinian and Lebanese civilians. In 2007, Matisyahu supported a fundraiser for the Israeli army, during its brutal siege of Gaza and only months after the bloody Israeli military assault on Lebanon, which killed over one thousand civilians and devastated Lebanese infrastructure. In a 2010 interview, Matisyahu justified Israel’s attack and murder of members of an aid flotilla in international waters as they were on their way to deliver critically needed humanitarian supplies to the besieged Palestinians in Gaza. A subsequent UN Human Rights Council investigation report found Israel guilty of violations of international humanitarian law and human rights law. Matisyahu played this year at the pro-war, pro-occupation Israel lobby group AIPAC policy conference. In his personal writings, Matisyahu has praised Israeli settlers stealing Palestinian land in the occupied West Bank and making the lives of Palestinians a living hell. Matisyahu’s lyricist, Ephraim Rosenstien, is himself a settler in an illegal West Bank colony. Rosenstein is associated with Honenu, an Israeli legal organization that defends settler terrorists who violently attack Palestinians to push them off their lands. In light of this consistent evidence, festival organizers recognized Matisyahu’s incitement to racial hatred and defense of war crimes and attempted dialogue with him to clarity whether he would distance himself from this hateful record. Matisyahu refused to retract his hateful views and acknowledge equal human rights for Palestinians and so his invitation was rescinded as they clashed with the festival’s values. 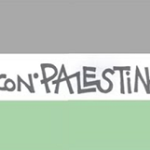 While the media has portrayed this effort as part of the global Boycott, Divestment and Sanctions (BDS) movement, we wish to make clear that our efforts are outside the remit of the cultural boycott of Israel as per the guidelines issued by the Palestinian Campaign for the Academic and Cultural Boycott of Israel (PACBI). BDS calls for boycotts against Israeli institutions that are complicit in Israel’s violations of international law, not against individuals. 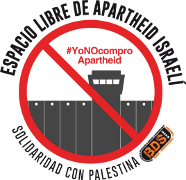 Unlike the cultural boycott movement against apartheid South Africa, the Palestinian-led BDS movement does not call for boycotting individual artists, academics, etc. The BDS movement, which we proudly support, is an inclusive, non-sectarian human rights movement that upholds the Universal Declaration of Human Rights and categorically rejects all forms of racism, including anti-Semitism. 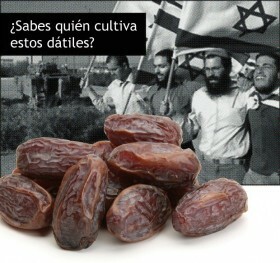 Jewish supporters of BDS in the US, Israel, Britain and elsewhere play a key role in the movement’s struggle for freedom, justice and equality. As citizens of conscience who also abhor all forms of racism and racist incitement, our call for excluding Matisyahu’s performance is a valid “common sense” boycott against an artist who refuses to disavow his shameful racial incitement and hateful messages. Matisyahu’s religious or ethnic identity is entirely irrelevant to our call for excluding his performance. Finally we would like to thank the courageous and principled step taken by the organizers of Rototom Sunsplash in canceling Matisyahu’s performance and showing in deeds that they stand true to the festival’s values of peace, equality, human rights and social justice for all. We look forward to successful festivals in the years ahead.